Multiple full-time, temporary (3 year project) positions open in Orange, LA, Kern & San Bernardino counties for major utility company. Approximately 50% of time in the field, 50% time in the office. GIS or Engineering design experience is recommended and strongly desired. Position requires a valid CA driver’s license, and travel and overnight stays are required. An understanding of GIS concepts and principles is preferred. The ability to handle multiple tasks simultaneously while meeting client and project objectives. Clearly and concisely communicate technical information and concepts with co-workers and management. Ability to follow established procedure, but recognize when data doesn’t make sense. Extreme attention to detail. Education: Bachelors’ Degree in Geography, Engineering, Computer Science, or related field preferred. Minimum 2 years of school/work experience Previous utility or data management experience a plus. 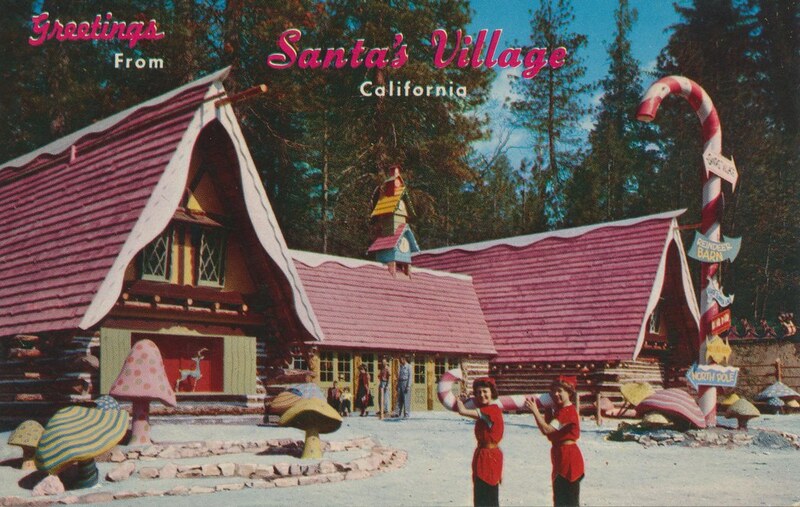 If you grew up here in SoCal, you probably remember going to Santa’s Village. Santa’s Village was a winter themed amusement park in the Skyforest area of Lake Arrowhead. Opened in 1955, more than a month before Disneyland, it was the first franchised amusement park. The park covered 220 acres and was one of SoCal’s biggest tourist attractions. It had rides including a bobsled, monorail, and spinning Christmas Tree ride, and also included a petting zoo, live reindeer, and shops that included a bakery, candy kitchen, and toy shop. And don’t forget Santa himself, which everyone could visit in his home! 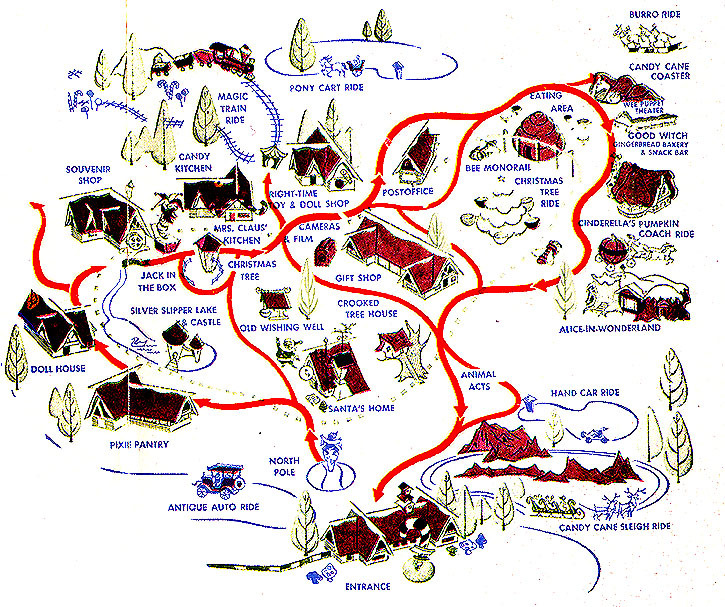 Alas, reduced attendance and revenue shortfalls caused Santa’s Village to close in 1998. The property sold three years later for $5.6 million and served as a staging area for local logging operations. If you have ever driven by on the Rim of the World Highway, you have probably seen the park’s faded candy cane signpost and dilapidated buildings. But the story does not end there. On May 15, 2014, there was a pending sale of the property to an unidentified Lake Arrowhead resident who was stated to have “big plans for the property”. Later, those big plans were revealed to bring Santa’s Village back with other recreational/action sports attractions in Spring 2015! It will be called SkyPark at Santa’s Village. So if you were a Santa’s Village fan, consider this a Christmas present for you! 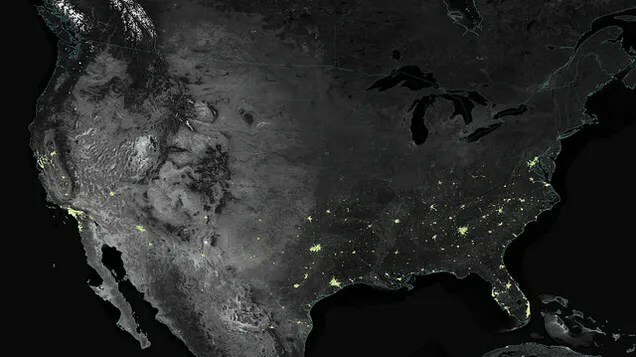 A joint mission between NOAA and NASA has yielded data showing just how much brighter Earth is during the holiday lights season. In some places, the effect makes the area 50% brighter than on an average day. Check it out! ESRI has released ArcGIS Pro 1.0 in the 10.3 release of ArcGIS. It comes with your ArcGIS Desktop licenses. For more information, visit the ArcGIS Pro page. Looks like ESRI released the Android version of Explorer for ArcGIS. Check it out. If you are last minute shopping for Christmas and need to find a gift for someone who likes maps, how about Cartography Ornaments? Check it out.